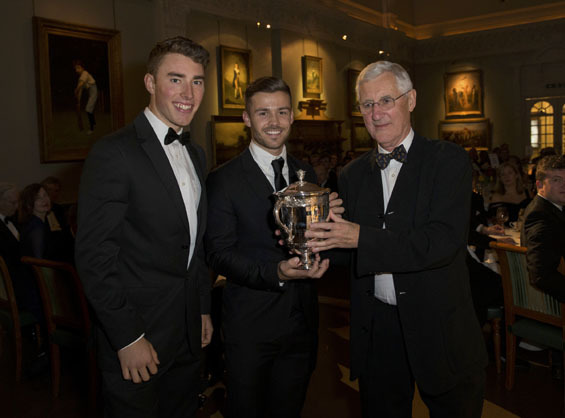 Once again the traditional Walter Lawrence Trophy Presentation Dinner served up a veritable feast of cheer and cordiality in The Long Room at Lord’s as the feats of four deserving winners were celebrated on November 7. 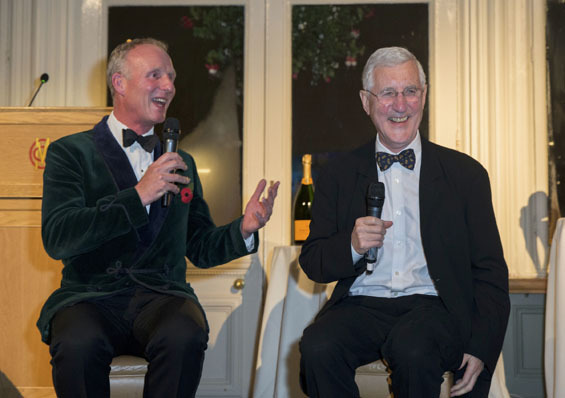 Following a sparkling reception, courtesy of Veuve Clicquot, the former Kent captain and recent President of MCC, Matthew Fleming, resplendent in green velvet jacket, hosted the proceedings with his inimitable blend of humour and expertise. Once the presentations were completed, Matthew was joined by guest speaker Mike Brearley, the former Cambridge University, Middlesex and England captain, for a fascinating discussion on the game to conclude the evening’s entertainment. speaker Mike Brearley light up The Long Room. The winner of the Walter Lawrence Trophy, now in its 83rd year and awarded for the fastest hundred of the season, was the enigmatic all-rounder Shahid Afridi with a thrilling 42-ball hundred scored for Hampshire against Derbyshire in the NatWest T20 Blast Quarter-Final match at Derby on August 22. Opening the innings, the former captain of Pakistan hit a blistering 7 sixes and 10 fours in his 101, which was, surprisingly, his first T20 century. Now in the twilight of his career, the 37-year-old exuberant batsman and leg spinner, known the world over as ‘Boom Boom Afridi’, has represented his country in 27 Tests, 398 One-Day Internationals and 98 T20 Internationals. Earlier this year Afridi announced that he had quit international cricket after 21 years, and that he would continue to play domestic T20 for another two years before retiring. These days a genuine globetrotter, Afridi has played for no fewer than 20 teams in his stellar career, including Karachi, Kent, Derbyshire, Hampshire, Leicestershire, Northamptonshire, Griqualand West, Dhaka Gladiators and Melbourne Renegades. He is the first Hampshire batsman since Gordon Greenidge in 1978 to win the Trophy, which was accepted on his behalf by Joe Weatherley and Lewis McManus, two of his county team mates. cheque for £3000 on his behalf from Mike Brearley. England’s World Cup winning opener, Tammy Beaumont, has won the Walter Lawrence Women’s Award for the second season running thanks to her innings of 148 for England against South Africa in the Women’s World Cup match at Bristol on July 5. In a game where records tumbled, Tammy’s third ODI century came off 145 balls and included 1 six and 22 fours as she shared a second-wicket stand of 275 with Sarah Taylor. Their partnership is the highest in Women’s World Cup history, the second highest in Women’s One-Day Internationals and the highest in England ODIs. A week later Tammy shared a record-breaking fourth-wicket stand of 170 with Natalie Sciver, against New Zealand at Derby, before finishing as leading run-scorer in the World Cup with 410 runs (avge 45.55), for which she was named Player Of The Tournament. An England regular in all formats, Tammy, who is a Chance to Shine Coaching Ambassador, grew up playing cricket with her father and brother for Sandwich CC, before making her debut for Kent in 2007. She made her England ODI & T20I debuts in the West Indies in 2009, before successfully captaining the England Women’s Academy team on tours to Sri Lanka in 2014 and the UAE in 2015. To date, the 26-year-old has played in 2 Tests, 47 ODIs and 44 T20Is and, as well as Kent, she played for Surrey Stars again in this year’s Kia Super League competition. 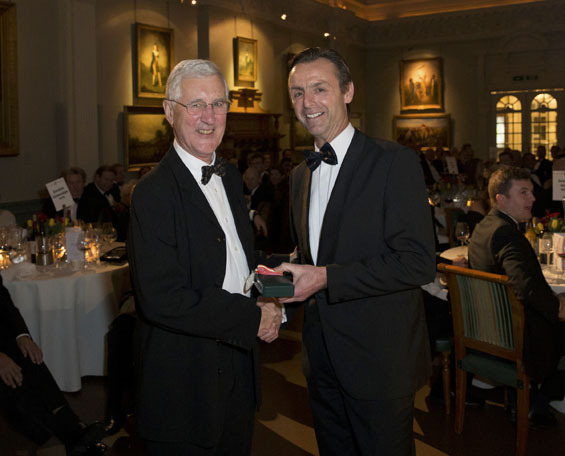 Needless to say, Tammy, currently battling it out Down Under in the Ashes series, was unable to attend and her winning silver medallion and a cheque for £500 were collected on her behalf by the former England, Hampshire and Essex batsman, John Stephenson, who is MCC Assistant Secretary for cricket. who was with England in Australia, from Mike Brearley. Martin Andersson is the winner of the MCC Universities Award with a score of 185 for Leeds/Bradford MCCU. The 20-year-old batsman hit 24 fours in his innings, made from 233 balls, in the victory over Durham MCCU at The Racecourse Ground, Durham on May 9. Andersson’s 185 was his third consecutive century in the 2017 MCCU Championship, following 138 v Oxford MCCU on April 19, and 128 v Cardiff MCCU on April 27. In an impressive season with the bat, he compiled 971 runs in 13 matches, at an average of 57.12, including four centuries and three fifties. Born in Reading, the right-handed batsman, who also bowls right-arm medium, made his second eleven championship debut for Middlesex in 2013, and in 2015 featured in the England Under-19 Development squad, scoring an unbeaten 70 against Australia Under-19s at Loughborough. This year he made his first-class debut for Leeds/Bradford MCCU against Kent in March . Currently studying economics and management at Leeds University, Martin is the second Leeds/Bradford winner since the Award’s inception in 2006. 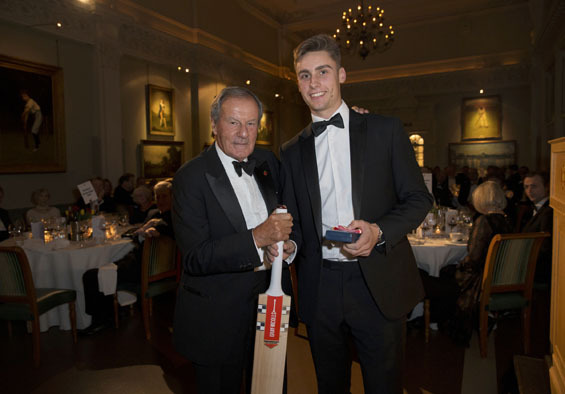 Will Jacks of St George’s College, Weybridge, picked up this year’s Walter Lawrence Schools Award for his unbeaten innings of 168, the highest score by a school batsman against MCC. His victorious, destructive innings on June 30, was scored off 107 balls and included 14 sixes and 13 fours as he put MCC bowlers to the sword. 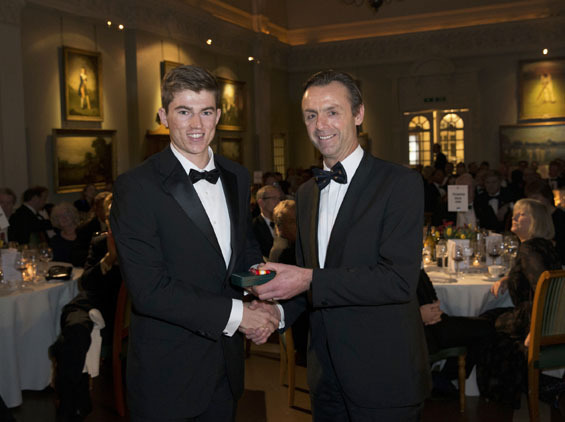 In September 2016, Will was selected for the England Young Lions squad, which included a three-week tour to Dubai, followed by five weeks in India, where he scored 77 in the second ‘test’ match of the drawn series. Born in Chertsey, Will has played for Surrey Under 13s, 14s, 15s, 17s and Surrey Second XI, and this summer played in eight matches for England Under 19s. In August he scored 102 in the second ‘Youth Test’ at Worcester against India U.19s. He is the seventh winner of the Schools Award, for which he received a special medallion and a Gray-Nicolls bat. bat by MCC President, Lord MacLaurin.